Worried about Internet censorship by SOPA and PIPA ? Wait !! This News is for you , Hackers plan to take the internet beyond the reach of censors by putting their own communication satellites into orbit. Good guy hackers plan to launch satellites to fight the Stop Online Piracy Act and create a censorship-free Internet. According to BBC News Technology Reporter David Meyer, the plan, which was detailed this week during the Chaos Communication Congress (CCC) in Berlin, is in response to proposed legislation such as the Stop Online Piracy Act (SOPA), which would allow the U.S. government to block websites believed to violate intellectual property law. Can a space-based Internet be done? Sure, it’s already been done. Will hackers be able do it? Questionable. Will it stop censorship? Hardly. Commercial satellite Internet has been available for a number of years, but it is slow, capacity limited, and the trip to and from space adds a noticeable delay that can disrupt some applications. There are sound reasons why long-distance telephone, television and Internet long ago moved from satellites to terrestrial microwave and then fiber optic. Meyer reports that while some hobbyists have managed to successfully place small satellites into orbit for short periods of time, but that tracking them have proved difficult due to budget constraints.Those involved with the Hackerspace Global Grid believe that if they are able to raise enough capital in order to overcome those difficulties, and ultimately, they hope to be able to send an amateur astronaut to the moon perhaps within the next quarter century. In the open-source spirit of Hackerspace, Mr Bauer and some friends came up with the idea of a distributed network of low-cost ground stations that can be bought or built by individuals.Used together in a global network, these stations would be able to pinpoint satellites at any given time, while also making it easier and more reliable for fast-moving satellites to send data back to earth. The report suggests that the individuals working on the satellite network are doing so in an “open-source spirit” with 26-year-old Armin Bauer of Stuttgart and colleagues working on the communications infrastructure of the ambitious project.With the assistance of German aerospace research initiative Constellation, they are working on what Bauer describes as a sort of “reverse GPS” which would let them know the precise locations of the satellites in much the same way that GPS probes help customers pinpoint their location on Earth. Bauer told Meyer that the team intents to have three prototype ground stations operational during the first half of next year, and is looking to sell them for approximately 100 Euros per unit. 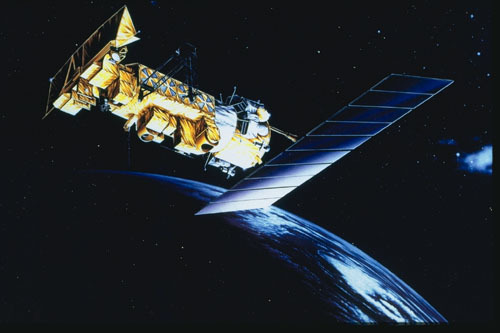 Experts say the satellite project is feasible, but could be restricted by technical limitations. "Low earth orbit satellites such as have been launched by amateurs so far, do not stay in a single place but rather orbit, typically every 90 minutes," said Prof Alan Woodward from the computing department at the University of Surrey. "This [hacker] community can put humanity back in space in a meaningful way," Farr said. "The goal is to get back to where we were in the 1970s. Hackers find it offensive that we've had the technology since before many of us were born and we haven't gone back." and apparently those who typically don't follow the law " hackers " think there's something they can do about it.